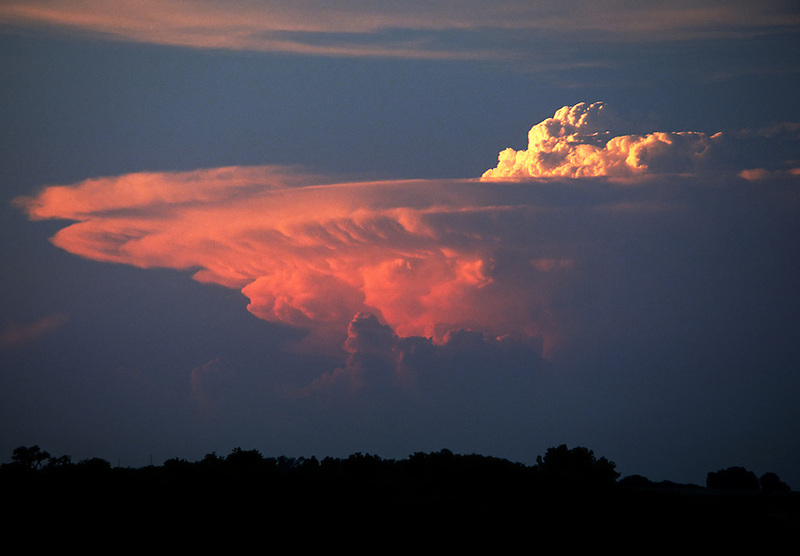 A distant view of a supercell thunderstorm (cumulonimbus)cloud with a large "overshooting top" near Abilene Kansas. Large "overshooting tops" are usually indicative of severe weather. This storm produced baseball size hail and several tornadoes.